A) don't be so lame! Is it just us, or does DM sound poor? The DragonForce man rants: "We're trying to reach a level of playing that nobody has ever heard before." 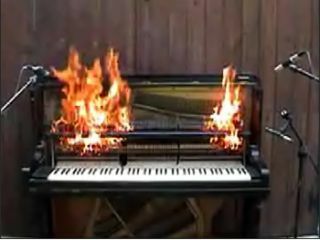 Set fire to you piano… now!